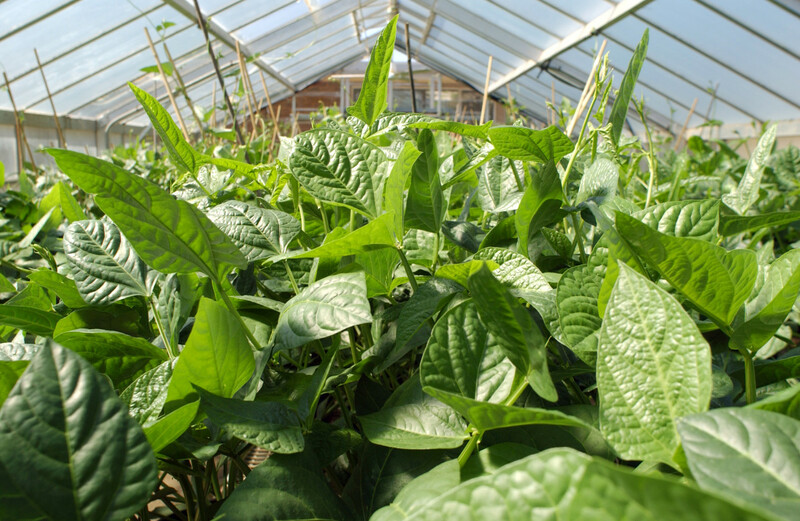 When people start thinking about growing some of their own vegetables at home, the task can seem simple at first, I mean how hard can it be to put a plant in the ground, water it and then enjoy the bountiful harvest of a fully operational farm? Yeah, not so much! Although a wonderful dream, to get the bountiful harvest of your dreams, it takes a lot of space, work and time! With that said there are millions of small tricks that can make growing vegetables a little easier. 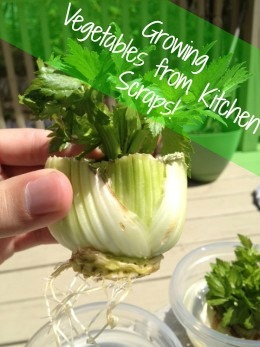 One way is to use kitchen scraps to grow plants! Yes a lot of foods you disregard as not edible and/or trash can in fact grow into a plant and give you more fruits and vegetables! 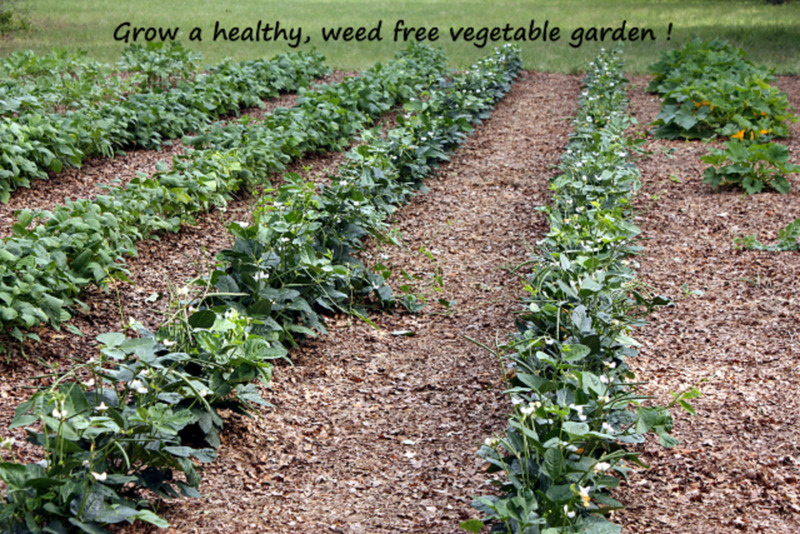 It is an alternative way of growing a vegetable garden then growing from seed or buying a bunch of plants. Victory Gardens, We Need Them! A brief discussion of the importance of victory gardens, especially in present day and how social media can help. You can gather seeds too!! 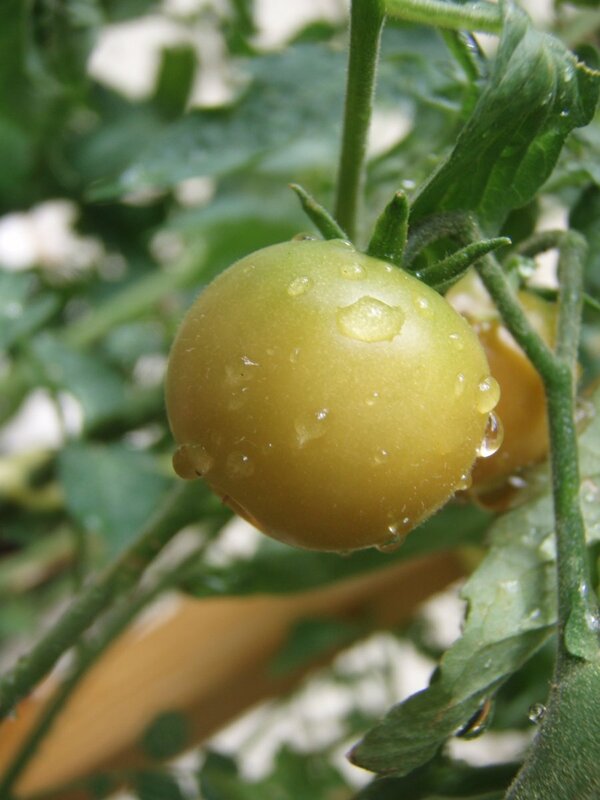 You can gather seeds of fresh vegetables like tomatoes, eggplants, cucumbers and peppers that will grow plants. Heirloom varieties are the best because they will reproduce the fruit just as tasty as the original! Compost for your Kitchen Scraps! Although many of your kitchen scraps are being saved from the compost pile, don't forget to add some compost to your new plants to give them a little boost! Learn how to compost or Revive Your Compost Pile! I’ve had my own vegetable garden for a few years now and I’m always looking for new ways to improve the harvest and balance the ecosystem of the garden. I believe that EVERYONE should grow some of their own food, even if it’s just one herb plant or one tomato plant! So with the unusually warm weather at the end of winter and beginning of spring my ambitions, and free time, were thrust into thinking/researching my vegetable garden. 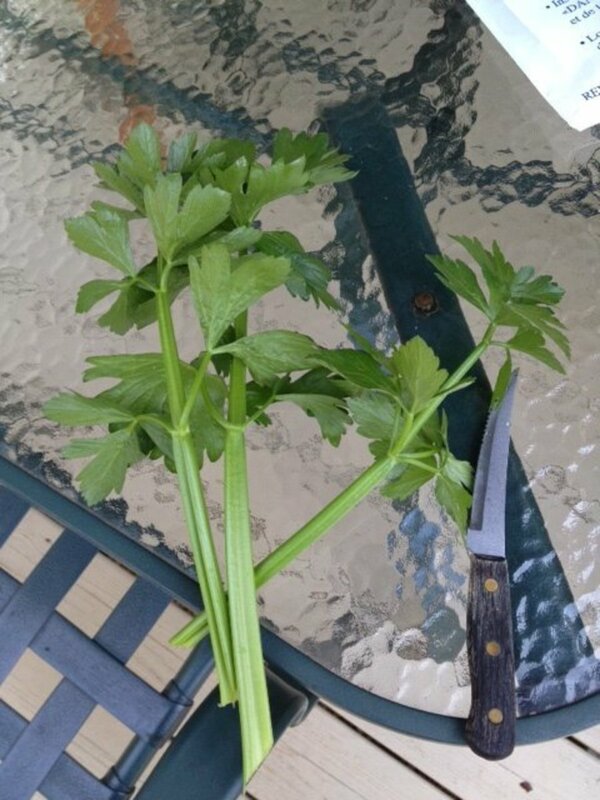 In the process I came across a blog that talked about growing celery plants from the discarded bottom of a celery stalk. At first I was skeptical but also intrigued. I had never thought of growing celery before but after doing some more reading and watching a few videos on YouTube to authenticate the idea, I decided to try it myself. It really was very simple. About a week later after using a stalk of celery for some soup and appetizers I decided to try it! If it didn’t work it was no loss of time or money to me! I cut the stalk down to the bottom and simply placed it in a small plastic bowl with a little bit of water. I placed it on the windowsill and basically forgot about it. Every few days I would check on it and change the water but within a week I noticed the top center of the celery, where the stalks use to be was rising! A few more days and they were definitely rising. Then one day when changing the water I noticed small white roots growing out of the bottom! It was working; growing from scraps was actually working! I waited a few more weeks before transplanting the celery outside due to cooler weather and in the mean time I started a second celery plant in a different bowl, this one also began to grow! Finally on the last week of April when temps had warm enough and the threat of frost seemed about gone I planted both stalks in a pot on my back deck. They are growing bigger each day and in a few months will have fresh celery stalks from my backyard!! Celery isn’t the only vegetable I’ve been able to use kitchen scraps to grow! Last year I stumbled across growing potatoes. We had a bag of potatoes that got lost in the pantry, when we found them they had begun to spud, so without thinking I throw them into my compost bin. For the next two months I was pulling foot long sprouts out of my compost bin, each one anchored by a chunk of potatoes! I decided to plant them in mounds and in pots as an experiment and to my surprise I actually got some potatoes, granted they weren’t that big but then again I didn’t really give them the room they needed either. Another fun kitchen scrap to recycle is the top of pineapple! Yes pineapple! This one I have yet to successfully do and from what I have learned can be very time consuming, taking at least eight months of bright sunshine to grow fruit. Like the celery you take the top of the pineapple, where the leaves are, and pull it off, and then you pull some of the bottom leaves off and place in water till it takes root. Once the roots appear you can plant it in a pot. Growing pineapple may be more difficult because it is a tropical plant that needs warm sunshine for a long time, which isn’t available naturally in the northern latitudes. Never the less it can be accomplished and in fact can be very fun! Finally I have to mention sweet potatoes because as I was growing the celery and researching what other kitchen scraps I could use to grow food, my favorite show NBC’s Community had a Law and Order inspired episode where the infamous study group had to investigate who killed their science project. The project, growing a sweet potato plant from a sweet potato! -Fun experiment, especially for Kids!! Other Food Scraps to Grow!! So take a moment and look at the kitchen scraps you throw into your compost bin…do they have any seeds? Do you ever find plants growing out of your compost pile? Has the scrap ever grown any shoots off of it? 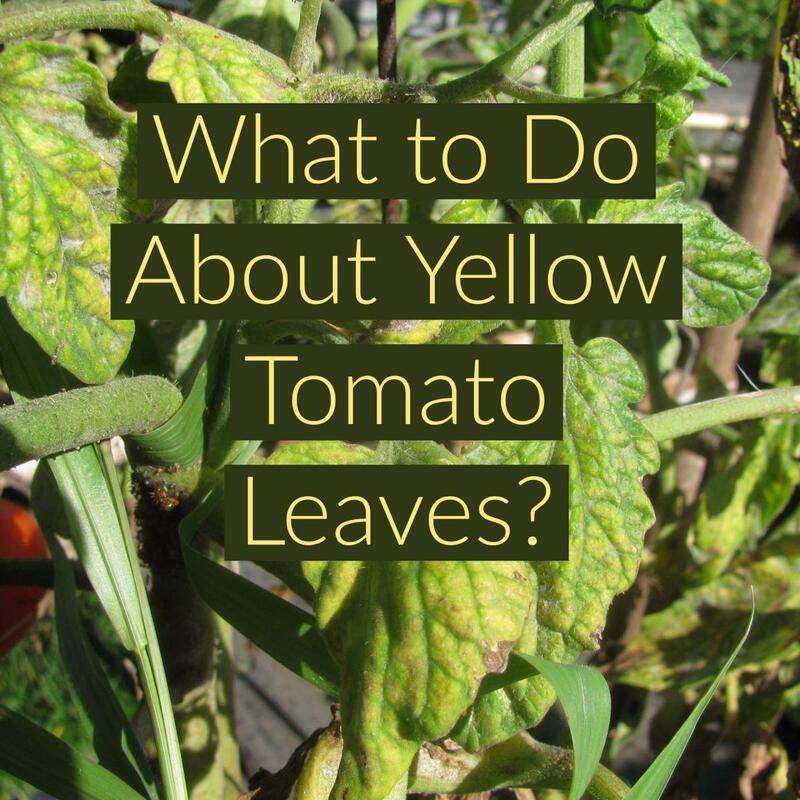 If you say yes to any of those questions then you may have a vegetable scrap that can be used in your back garden! Im thrilled by all the comments i've gotten about this hub and the plethora of knowledge people are willing to share! It is truly amazing! So here is a list of some of the other kitchen scraps readers are planting and growing!!!! Have you grown anything from kitchen scraps? No but will try now! 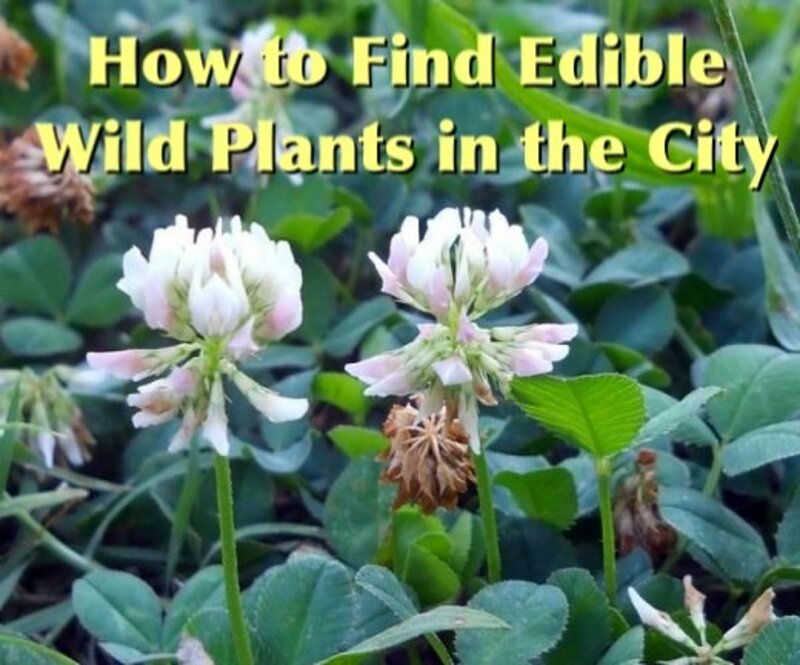 What Is Urban Foraging? How to Find Free Food in the City! I have successfully grown a pineapple plant (don’t know if I will ever get a pineapple! ), celery, sweet potatoes, potatoes, celery, “living” lettuce, and am growing an avocado tree. I hope to grow ginger and mushrooms soon. I have a mango and avacado but spider mites are killing them both. I have sprayed them several times and the plants are subcoming to the bugs. I cut the top off of a pineapple and just planted it with the leaves showing. It started to grow new leaves and got very green. I planted several other pineapple tops in the same pot (a whiskey barrel) and they all turned brown and died. The first one was thriving and getting new leaves. Unfortunately, we had a light freeze and it died. However, when was in Costa Rica for 3 months, every pineapple I ate, I planted the top in the ground. They all grew. Someone before me did the same thing and theirs had little tiny pineapples growing out of the top. I live in Arizona and our weather is quite warm most of the time. When I get another pineapple, I'll try again. Thanks for your post. I am going to try the celery and onions next. I'm currently growing Romaine Lettuce from scraps and grow garlic yearly! I grew a potato plant & I'm currently growing a pineapple, two onions plants, & looking into mushrooms! Wow! I'm definitely going to try potatoes. I'm always been a little bit nervous about trying them because I didn't think that it would work for some reason. But I regularly re-grow garlic, onions, green onion, tomato seeds, pepper seeds, cucumber seeds, basil seeds, oregano seeds and flower seeds! I've tried the lettuce and never had any luck. I have tried (successfully) potatoes, carrots, green onions, garlic, celery, lettuce, garlic all from part of the original parent plant and planted from seeds I saved from pumpkins/zucchini/yellow crooked neck squash, corn, mini bell peppers, tomatoes, sunflowers not to mention all kinds of flower seeds.. I do not buy flower seeds anymore! I rarely buy veggie seeds. I accidentally started growing potatoes by tossing the sprouting ones in a recycling bin just outside my garage door with newspapers in it... was AMAZED when i realized that they were repoducing with no soil & very little water, I got 32 red potatoes from 3 small red potatoes that year. 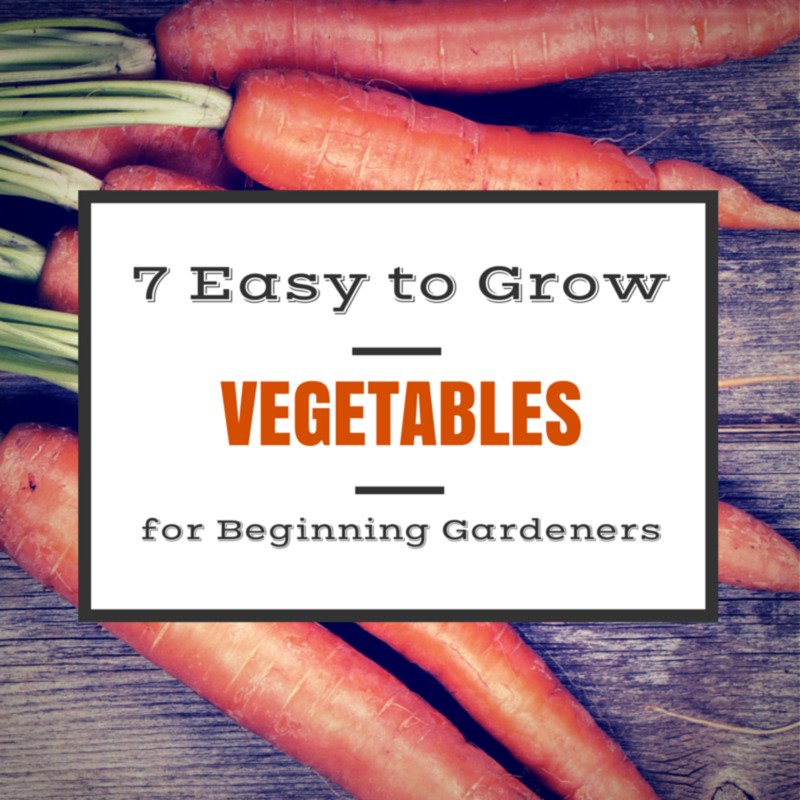 So I did some reading on growing or regrowing vegetables. I have not tried ginger yet, I think that will be the next thing to try. This year I had a "voluntary" zucchini plant grow in my flowerbed,( I did not plant or have ever had one there) which was a pleasant surprise since my hubby LOVES zucchini. We harvested the 1st zucchini and went on vacation for 2 weeks. When we returned I went to see if any other zucchini were ready to be harvested, only to find no more zucchini's growing on the plant...instead there were 4 PUMPKINS growing on that plant! Somehow that (pumpkin) plant had been CROSS POLLINATED with a zucchini plant? My neighbors have a very large zucchini patch about 15 feet from my flower bed. We figure that a bee must have been doing his job collecting pollen in the zucchini and then came over to my pumpkin plant and CROSS POLLINATED the 2 plants! I personally had never seen or heard of that before So I contacted my local Master Gardener's Association who assured me that this does happen & more often than you would think..lol. I found your post to be helpful and enjoyable to read. Thank you for sharing. Je vais essayer avec ma petite fille qui sera ravie! Thanks MG Seltzer! I'm a big community fan! 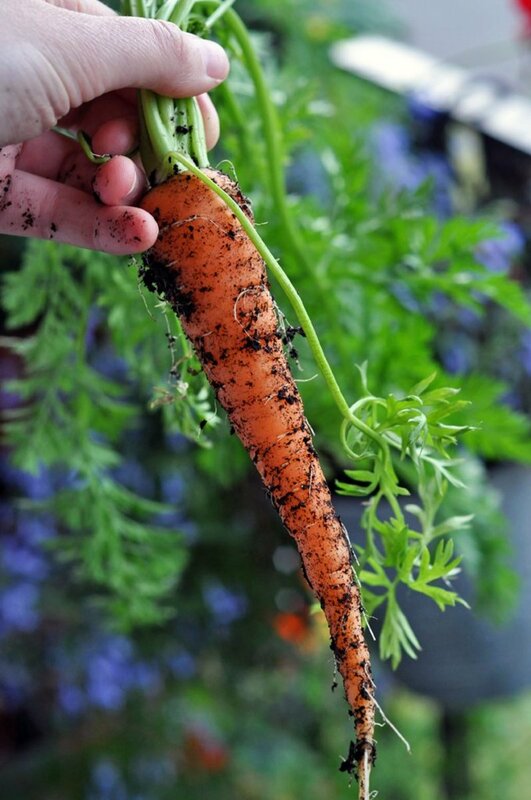 Good luck with the root vegetables, carrot tops grow well too! 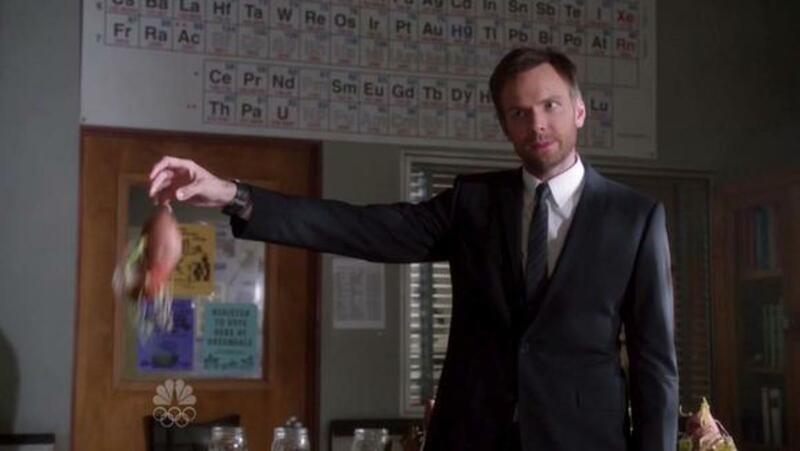 Love the photo from "Community" and I am going to try regrowing rutabagas from scraps -- I'm all about the root veggies. Thumbs up, of course! Hey Betty! I spent some time away as well, started coming back more often just this year. Everything is going great, love this time of year when the garden is growing! Hope all is well with you! 3 years ago from Vacaville, Ca. HEy Brian, good to see you are still guiding folks with gardning tips. I have been away from hubpages quite awhile but continue to get updates. Hope all is well with you! Thanks for commenting Marge! Fresh homegrown pineapple sounds amazing! Have had great success with pineapple. Of course this is sunny Florida so growing conditions are great. I simply put the top of the pineapple in a pot of dirt, set it outside, water and watch it grow. It does take quite a while to grow but the results are definitely worth it. When it's ripe eat and use the top to start another plant. Also if you leave the base of the original plant in the pot it will send up a new shoot which will eventually become another pineapple. I started Bok Choy and it did really well! This really works! I have tried it! True to form you can grow from vegetable scraps! Good read. I have grown a few things from scraps, green onions or scallions. 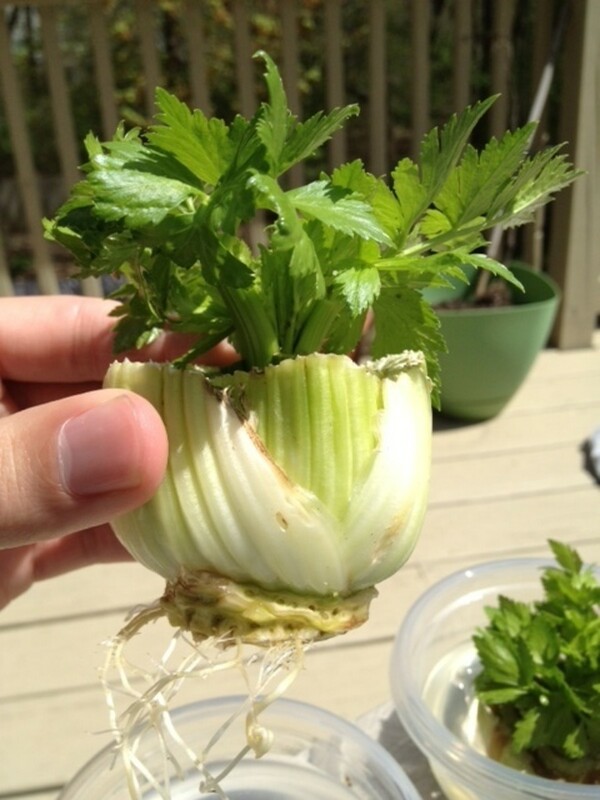 I just wanted to say, your site is the FIRST site, that show when growing celery from scraps, and you put it in water and wait for the roots to appear. No other site mentioned that. I have tried several other vegetables, but I guess I didn't know to wait longer for roots to show. Every bit of information you provide makes a difference in our success. That's AWESOME Wendy! It's amazing how much you've been able to grow from vegetable scraps! Let us know how the star fruit seeds do! I threw kitchen scraps (tomatoes of many varieties, bell peppers, garlic, cilantro, pumpkin, cucumber, zucchini, butternut squash) into my garden bed and began noticing plants begin to grow. Now my garden is thriving. I have literally hundreds of tomatoes and pepper plants. My squash plants are sprouting everywhere and have begun to flower. We have green onions grown from scraps that continue to regrow as well as leeks. The cilantro is popping up all over my garden as well. We have sweet potatoes in an old recycle bin with carrots. Our two pineapple plants we grew from scrap are doing well though have not produced yet. We have an avocado tree about 4 feet tall grown from a seed. I just started three organic yellow onions that I cut off from the base and placed in water that are growing new roots and beginning to sprout. I'm trying celery though I haven't had too much success in the past as the sides rot. To combat the problem I have suspended it with toothpicks over water. Also I have some carambola (star fruit seeds) that I am trying to sprout along with lemon. Fingers crossed! I used to have a black thumb but now I have a thriving vegetable and fruit garden that my family can enjoy, and best of all, it didn't cost me a thing! That's awesome Liza! I hope the avocado takes off! Currently, I have celery growing and an avocado seed trying to sprout. I'm hopeful for the avocado and amazed by the celery! Going to try Garlic next and maybe some ginger. Thanks for commenting Mark! I had a similar problem with my celery but the stalks were still long enough to use just not as long or as thick as the original stalk. Awesome thetteski! Homegrown pineapple must taste AMAZING! 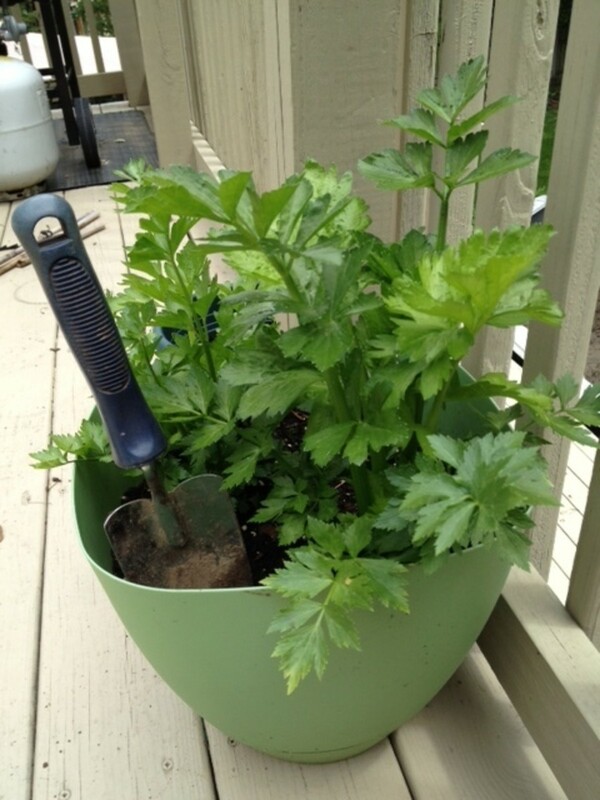 Celery grows really easy and fairly quick! I've been growing pineapples for several years now--slow grow, but SO worth it. I have an avocado tree that started from a pit thrown in the compost pile. And tomatoes. Lots and lots of tomatoes, especially in the winter. I'm going to try the celery next. Im growing celery, carrots, green onions, bok choy (that is growing beautifully and fast), and I'm about to try avocados, pineapple, and an indoor lemon tree. This is so exciting! I've been growing chives in my windowsill for years, excited to try a few others! That's awesome Jen! I didn't even think of making a mini greenhouse like that! What a fantastic idea! Thanks for sharing! 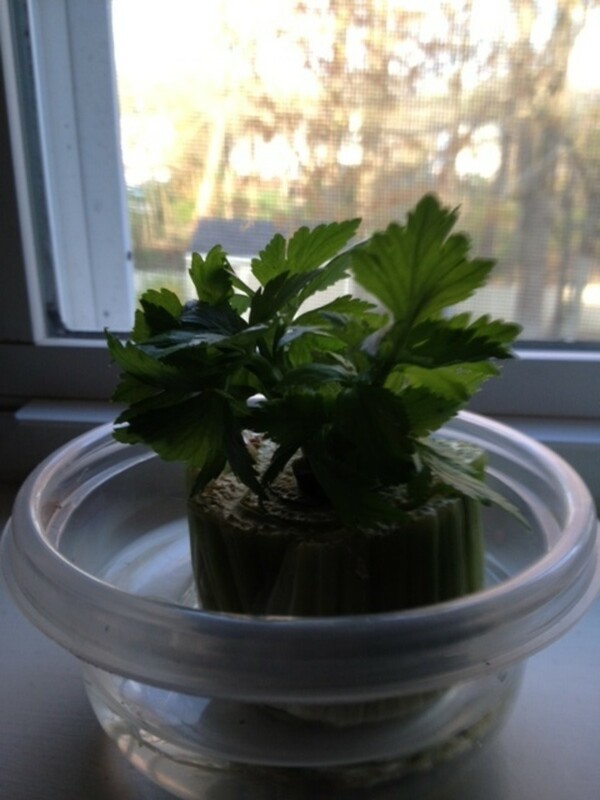 I'm growing celery in my windowsill right now! I placed it in a cup with water inside a ziplock bag to make it like a little green house since it's very cold here (we keep our house temp chilly too). Within a week the sprouts were a few inches tall, may plant it in a container to keep inside till warmer weather. LOL Jason, Maybe she'll change her mind when all you're little jars start producing some cool plants and food! Thanks for sharing! Thanks for commenting Kanchan, i'm glad you found the post awesome! I have grown ginger and garlic and green chilly from scraps :) Your post is awesome btw! Can't wait to try out your suggestions. That's awesome Betsy!!! Thanks for Sharing! I am actually on my second generation pineapple. When researching how to grow them I learned that you have to have pollinate the fruit somehow. So I put the plant in a plastic bag with an apple for weeks and it worked. Next I knew I had a baby pineapple the size of an apple. It was the sweetest I've ever had. Thats awesome lupine! and thanks for coming back to give an update! nanamama-tt The only downside of compost is you sometimes get plants growing out of the rich nutrients! I have had onions, potatoes and even some tomato plants grow right inside my compost bin. Thanks for the comment and congrats on your new raised gardens! I hope they're giving you an abundance of tasty snacks this summer! I've been following this hub, commented earlier. 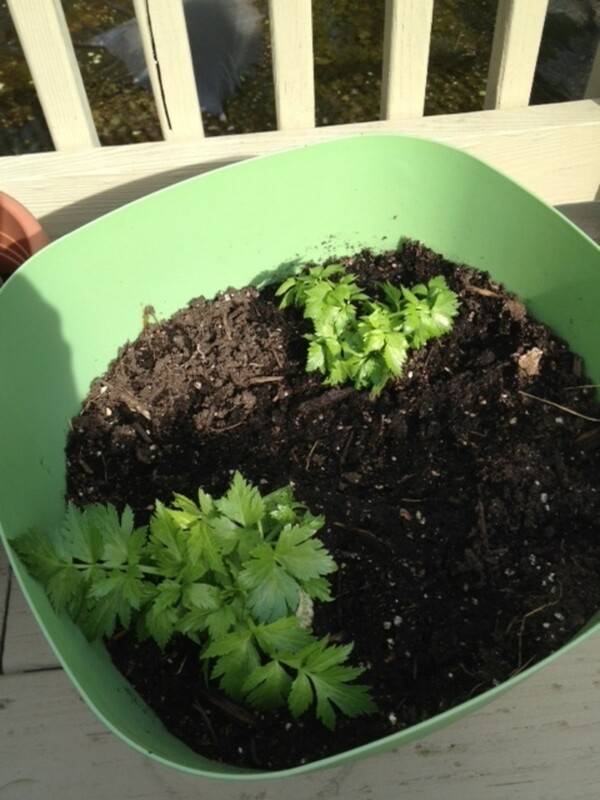 I finally tried growing celery... cut the bottom off the celery, put in a pot w/soil. To my surprise, it only took a few days to begin showing leaves, now has more leaves and short stalks. Have 3 planted, all with leaves. When people see them, they want to plant celery too. I made a raised bed to plant just a few fruit & veggie plants. Before planting anything I mixed in my compost I had made from scraps, eggshells, fruit & veggie peelings, coffee grounds, etc.. After I planted a few string bean plants, I noticed another plant that started popping up all over the bed. It turns out it is Cucumbers! They grew from the small pieces of cucumbers we threw in the compost bin. I now have massive cucumber plants growing everywhere. I had to build trellises for them, because they were just taking over. I had no idea that plants could grow from compost!! sorry for the late reply Sasenecal but thanks for the comment, I would definitely try placing them in potting mix! and thanks ChrisFlorida for sharing! My daughter started with green tail onions, then I started romaine and celery, tried red lettuce, but, nothing happened. I'm thinking of placing them into some potting mix. Thanks for the comment susansisk! yeah i think fruit is harder to get but the celery should work really well for you! Thanks for the comment marion langley! I don't have any chickens but what a wonderful idea for some extra fresh produce just for them!! I've grown garlic and have heard about potatoes. I'm thinking about taking you up on the carrots and celery...especially now that I got some chickens. Thanks for writing. Great hub! I have grown several pineapples. They have grown well, but have not had any fruit. Will try the celery. 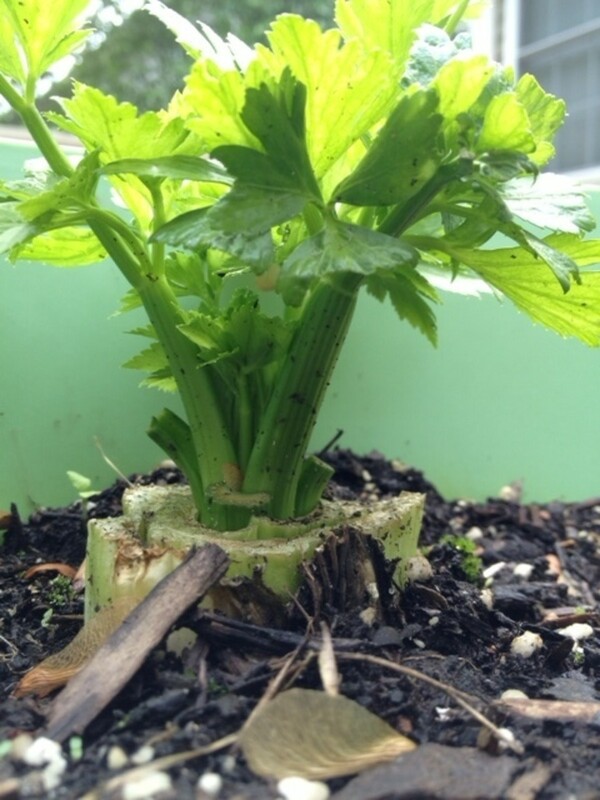 I just recently planted the celery scraps directly in my organic garden skipping putting it in water on the window sill and it has taken quite nicely to the idea. A friend of mine told me he is trying to grow celery and his died shortly after they were as tall as mine. so I'm keeping a watchful eye. great post! I already discovered this too. I have been sprouting the base of sweet white onions. So far, I got two of them rooted, and the first one grew the little green long onions like scallions, which I cut off and used. I also have my second red cabbage core soaking in water, which I change daily, because its sharing space with the onion base, which dirties up the water faster. This one has also taken root. My problem with the first one is that when it took roots and was showing leaves, I planted it in a small pot to let it grow. Problem is, I have no idea how much to water it. So the first one died. I was watering it maybe too much because it looked like a drowned plant when it died, and the roots were soaked when I pulled it out. So this time, I'm going to go easy on the water. I also took the tops of two carrots, and did not root them. I just stuck them in a pot with an italian stem that I had rooted and started growing in the pot. I really wasn't sure if it would do anything simply because I hadn't rooted it, but somehow, I didn't think that process would work with carrots. So I stuck it in the dirt, and now, almost 2 weeks later, I'm starting to see the start of green tops coming up off the carrot tops. Its so cool. Love the article. I haven't tried green onions yet! Thanks azrestoexp for sharing!! Green onions grow great and fast. I just push the cut off ends in the dirt and off they go. I have them everywhere. Very easy. Thanks for the comment Rochelle Frank im glad you liked the hub! I love this- and always intended to do a hub on the same subject. I will print this for my reference. Sweet potatoes or red yams make a really attractive plant to root in a jar on your kitchen windowsill. I did not know you could root celery like you have shown. I certainly will try that. I haven't tried green onions yet but I hear they regrow really well! Thanks for the comment janices7 I'm glad you enjoyed the hub and find it useful! This is totally something that I want to try! I keep hearing that green onions will regrow after you plant them, which would save me some green at the grocery store ;) Very nice hub! I did celery last summer and wow.. it worked.. friends all tried it as well. now will try romaine lettuce and onions. may have a salad yet . thanks for sharing. I will try it. I think it is a great idea, even more for people who lives in a small space. Amanda- Once new growth begins you should be able to transfer it to soil, however you can leave it in the water till you see new roots growing as well. Thanks for the comment and question! Good luck with growing your own! I have a question about regrowing the beet greens. once it is in a shallow bowl of water and new growth starts can it be transplanted into a pot with soil? or would it have to stay in a water bowl? i am new to the growing my own veggie world and i love beet greens! I have grown potatoes from skins with nodes and pumpkins thar started in the compost. I might try other vegies now. Terrific idea and money-saving too! I will try this in my back yard. What an awesome idea for potatoes!!! Thanks Kathy!! Avacado, Pineapple, Sweet and Idaho Potatoes. Tomatoes from sucker shoots, Quite a few things. Idea for space saving potato garden. Put holes in the bottom of a barrel or garbage can. Put 6 inches of shells, gravel, concrete, something to allow drainage and about a foot of good soil on top. Plant potato or sweet potato starts on top and put it in the sun. As plants grow each 3 to 4 inches hold plants up and cover stems with soil, leaving the last inch uncovered. Continue this process until the soil reaches the top of the container then let it grow out and down the sides of the container. Every time you cover it up new roots start and develop a new layer of potatoes. When plants and potatoes mature, the easiest way to harvest is to dump it over and pick the potatoes out. If it worked right you will have a barrel full of potatoes. I have had times that it worked unbelievably well and a couple of times it didn't and I am not sure why. I have shared many potatoes with friends in the good years. Drainage and moisture is a key. I don't mind as much if it dosent work because I don't have any cost and little time involved. Hope it works for you. Thanks Sheri! I'm glad you liked it and I can't wait for spring either! What a cool idea! I can't wait to try it. Come on spring! Great hub. Pineapples are easy to do. 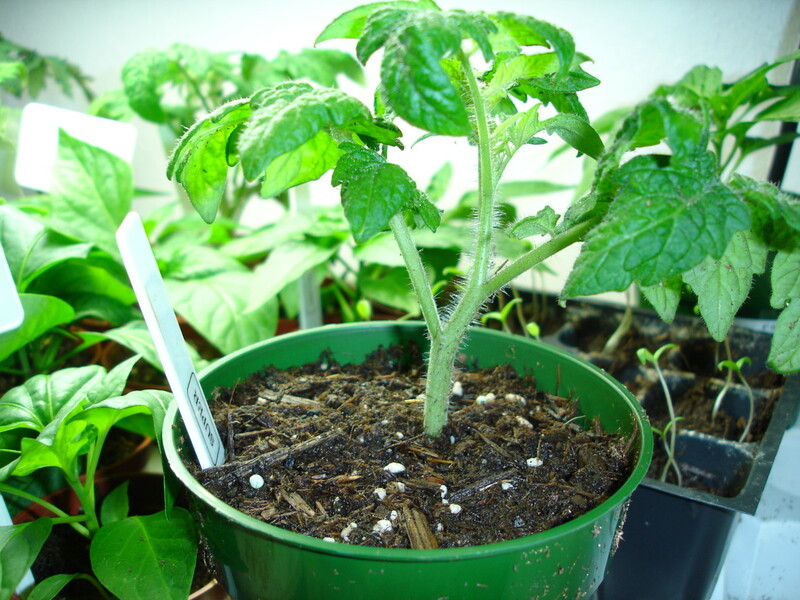 we skip putting them in water and just plant the tops in a pot and keep the soil moist. This is also basically what the pineapple farmers do when they replant the tops that are used as "seeds". We have had limited success with sprouting onion ends. Maybe about 20% of the onion butts will sprout. awesome NicoleMessenger! I heard the same about carrots but forgot, Carrots might have to be my next experiment! Thanks for the comment! I currently have two of this exact method sitting in my window sill as I speak. I heard you could do carrots also, but haven't attempted it yet. thanks for the comment LauraDo93, im glad it was useful and thanks in advance for visiting my blog too! Thanks for the information. I'm definitely going to try this-every year I try to improve on my vegetable garden. I will also visit your blog. Thanks for the comment Lizolivia, ginger can easily be grown, i've been thinking of trying it myself and all you need is ginger from the store! I have celery to try that with; fabulous information. I also have ginger root which can be somewhat expensive. Useful great ideas and pics! thanks aida-garcia and you're right its not limited to just celery but it's always good to start off slow and the celery experiment is a great one! good luck and thanks for commenting! I was intrigued by your article with the celery bottom and I thought you may have used it for not only celery but for other vegtables inside the celery cup. I am going to try your celery cup before trying other vegtables because I enjoy celery and its tasty benefits. Wonderful way to recycle and go green! Lettuce and spring onions with roots attatchef work great and better yet they self seed. Thanks GoodLady! im glad you enjoyed it! Pineapple's take a while to grow but if you're in a warm climate or even have a warm sunny window im sure it will work and there's no harm in trying!! Just a beautiful hub. I love it. I'd really like to get a pineapple tree going. thanks pstraubie48! i hope you have some fun with growing the celery! Thanks for this. I knew about all of these but the celery. As it happens I have celery here and can hardly wait till it is all use so I can begin my celery growing experience. What fun. Thats great homerevisor good luck! and thanks for the comment! Thanks for the comment and votes Neinahpets! i hope this tip saves you some money! and you have some fun growing too! This is just amazing. I wish I hadn't thrown out the celery that had wilted recently... time to go buy some more! I definitely want to try this! Voted up, thank you for saving me a few bucks! thats so cool Sarah, I'm glad I was able to inspire you! I thought this idea was really cool when i heard about it a few months ago.....so i tried it!! At the moment, in my bedroom i have pinto beans, two celery stalks, corn(yes corn!! I think i've lost it), and little basil plants. Off topic, i also have a terrarium housing moss and garden snails...just because it's so easy and looks so cool. I'm going to see what else i can get. Thanks for the inspiration!! thanks for the comment azrestoexp! it's always fun to experiment in the garden! good luck! Great information, who'd a thought. Will have to give it a try. Funny that you mention that I opened my compost bin the other day and found a bunch of potato plants growing and it's freezing here in CT! I look forward to reading your Christmas Poetry!! Merry Christmas to you as well!! I was just out in my garden , cleaning out the worn out plants and discovered the potatoes are appearing above ground again! Gota love potatoes, they just keep producing whether you want them to or not! Have a great Christmas in case I don't click on you again before. I am putting some of my Christmas poetry on my hub now, check them out when you have time.